Overall, the government recovered nearly $5 billion in False Claims Act cases for the 2012 fiscal year. Whistleblower tips led to a record $3.3 billion recovered by the Justice Department this past year in cases involving frauds against the government, officials said Tuesday. Such cases were brought under the False Claims Act, a law covering frauds against the government that includes a provision allowing private citizens to file lawsuits on the government's behalf. These citizens are then entitled to collect a portion of any fines or penalties collected in their cases. Overall, the government recovered nearly $5 billion in False Claims Act cases for the fiscal year ended Sept. 30, including $3 billion stemming from health care fraud and $911 million paid by mortgage servicers as part of the $26 billion foreclosure settlement, the Justice Department said. The previous record for False Claims Act recoveries was $3.2 billion in the prior fiscal year. "The False Claims Act is, quite simply, the most powerful tool that we have to deter and redress fraud," Acting Associate Attorney General Tony West said. The biggest single case for 2012 involved pharmaceutical firm GlaxoSmithKline (GLAXF), which paid $1.5 billion to resolve False Claims Act allegations. The company was accused of promoting drugs for uses other than those approved by the Food and Drug Administration, making false statements about drug safety and underpaying Medicaid rebates. The $1.5 billion payment came as part of a $3 billion settlement concerning the drug maker's practices. In the GlaxoSmithKline case, "multiple" whistleblowers received awards totaling $131 million, the Justice Department said. In the foreclosure settlement, six whistleblowers received $46.5 million in total. 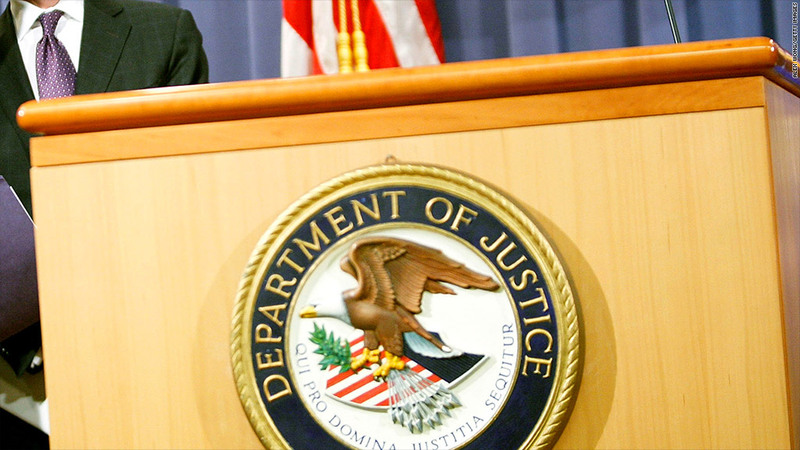 Overall, whistleblowers received $439 million in Justice Department cases in the 2012 fiscal year. Stephen Kohn, executive director of the National Whistleblower Center, said the increase in whistleblower-driven recoveries was the result of increased public awareness. The Securities and Exchange Commission, he noted, rolled out its own whistleblower program last year, while the IRS paid out $104 million earlier this year to a former UBS banker who exposed tax fraud by the bank's clients. Kohn represented that banker, Bradley Birkenfeld, whose reward is believed to be the largest in U.S. history. "People are seeing that whistleblowers can win, they can land on their feet, and that the concept of the government paying a large monetary reward is not 'pie in the sky,'" Kohn said.